The Us director spoke to improv students at Hollywood’s Upright Citizens Brigade Theatre on Monday. Jordan Peele says he doesn't plan on casting any white men for lead role in any of his upcoming works, THR reports. Shortly after the successful opening weekend of his latest horror-flick Us, the director shared the news during an hour-long conversation with a group of improv students at Los Angeles' Upright Citizens Brigade Theatre on Monday. "I don’t see myself casting a white dude as the lead in my movie," Peele said. "Not that I don’t like white dudes. But I've seen that movie." After an applause from the crowd, he continued on, likening today to a sort of renaissance. "It really is one of the best, greatest pieces of this story, is feeling like we are in this time — a renaissance has happened and proved the myths about representation in the industry are false." 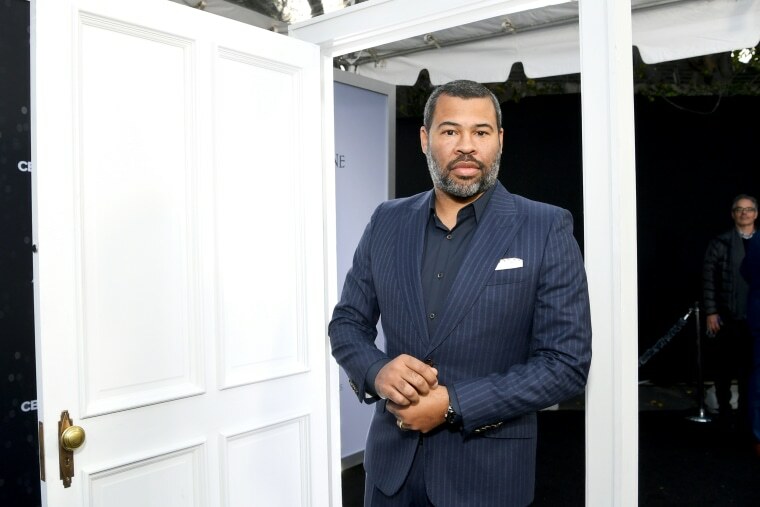 Elsewhere, Peele also spoke about his early career moments, an addiction to marijuana, and the upcoming Twilight Zone reboot (arriving on April 1), which he will host and executive produce. Us premiered last week and generated $70 million during its opening weekend — the largest for an original horror movie.